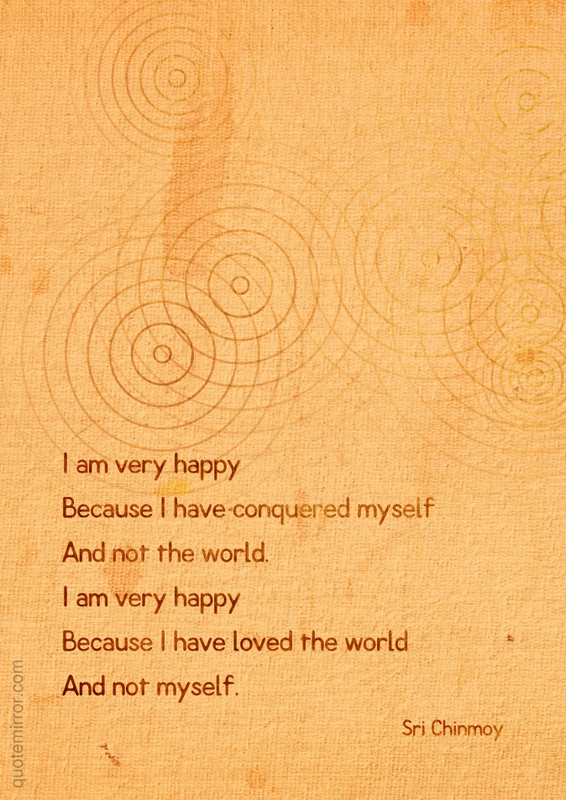 I am very happy because I have conquered myself and not the world. I am very happy because I have loved the world and not myself. 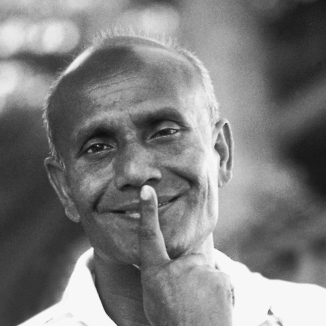 Chinmoy Kumar Ghose, better known as Sri Chinmoy (27 August 1931 – 11 October 2007), was an Indian spiritual master who taught meditation in the West after moving to New York City in 1964. Chinmoy established his first meditation center in Queens, New York, and eventually had thousands of students in 60 countries. A prolific author, artist, poet, and musician, he also held public events such as concerts and meditations on the theme of inner peace.